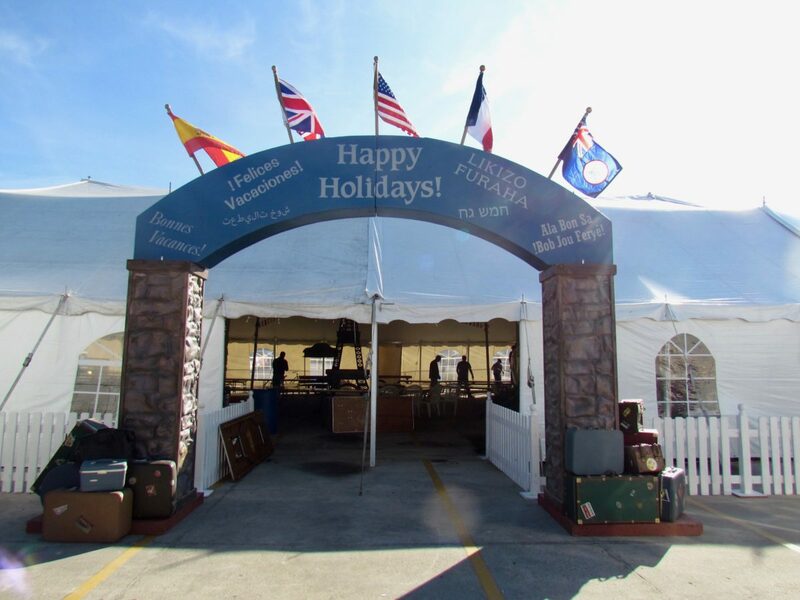 At this year’s Mears Holiday Celebration, the guests took a trip around the world! 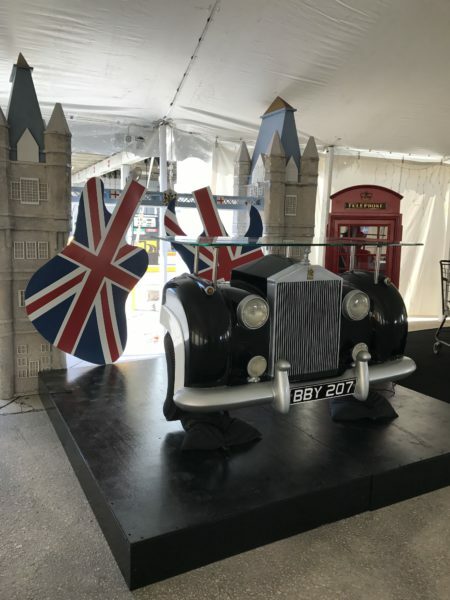 Our MKE team created several vignettes which represented iconic locations across the globe. There were stops in England, Morocco, Paris, and much more! 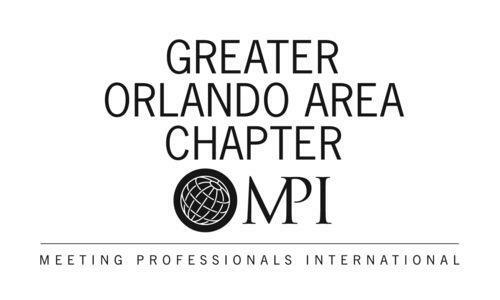 Guests enjoyed an international holiday vacation without ever having to leave the event. Guests walked through our International Arch Entry supported by faux-aged field stone columns. 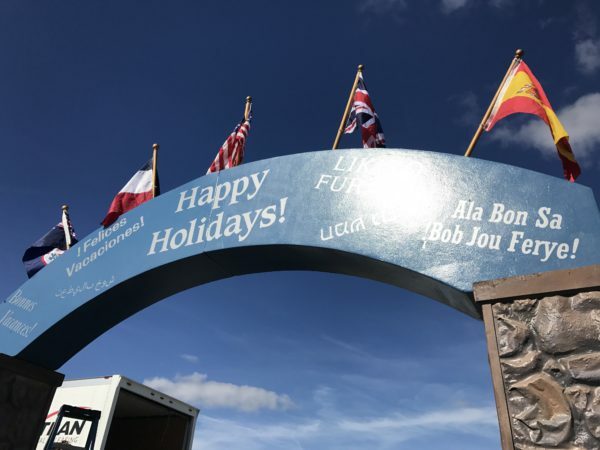 The title “Happy Holidays” was rendered in 6 languages and distinguished in varying fonts. 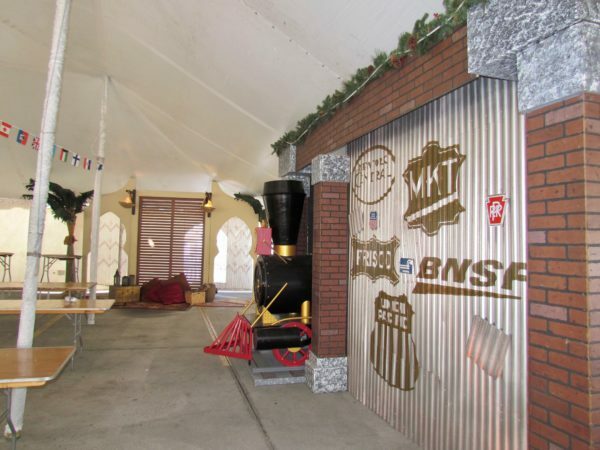 The structure of the entry was completed with pieces of our authentic vintage luggage, which surrounded the base of each column. 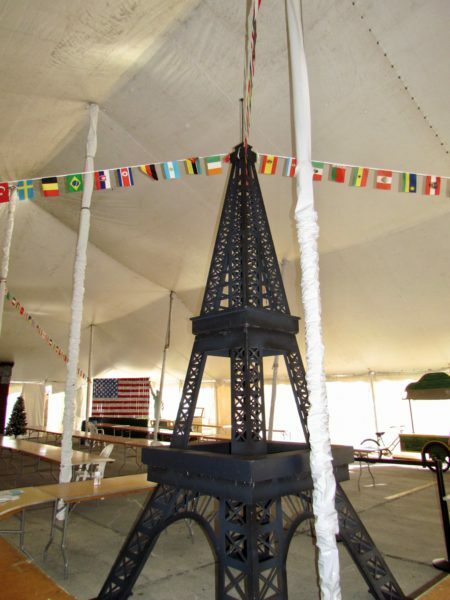 The center focal point of the room was our 14’ replica of the Eiffel Tower. The clients utilized this feature to drape strings of international pennant flags across the ceiling. 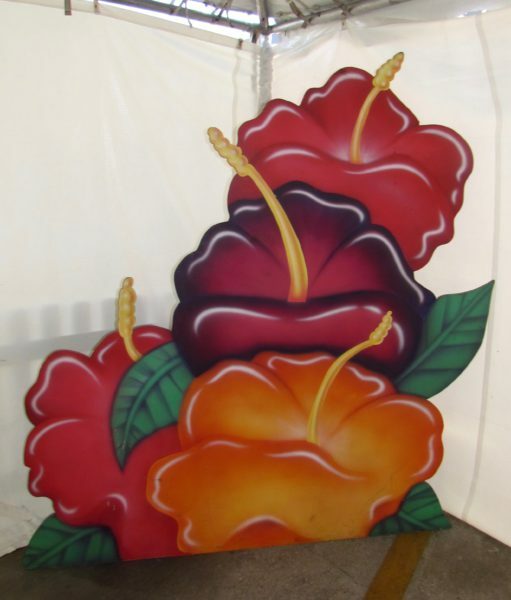 Two Parisian themed vendor carts were used as working beverage stations throughout the event. Morocco was represented in the form of a vintage market completed with a faux sandstone frame with a dark-wood slat façade. Onion doors draped with wooden bead curtains bordered the piece, while faux-flame oil lamps hung from above. 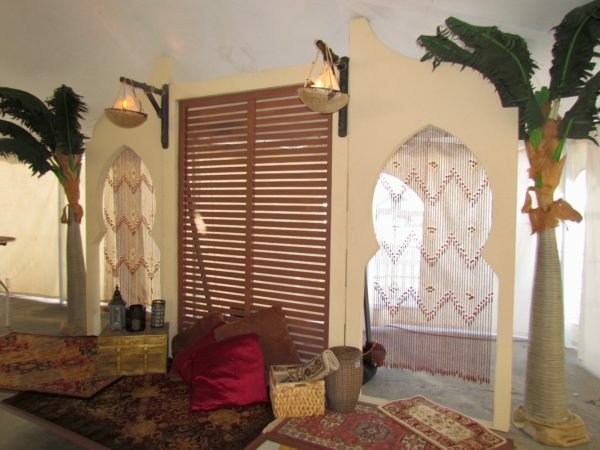 Palms were used to flank the vignette and Moroccan-style rugs, pillows, and baskets lined the floor to finish the look. All aboard the Holiday Express! 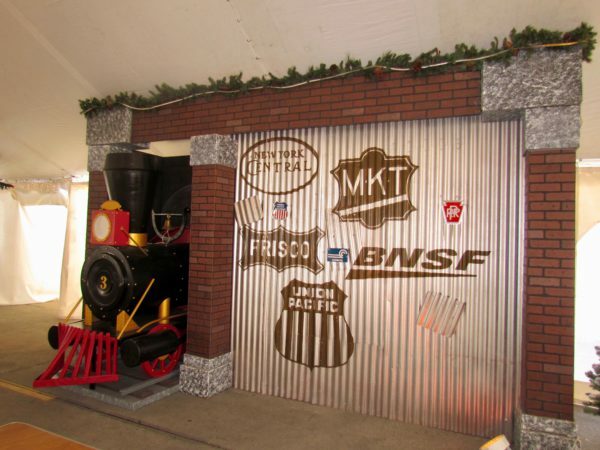 Our Vintage Train Travel Vignette was designed with a dimensional 7’ high replica of a steam engine train front. 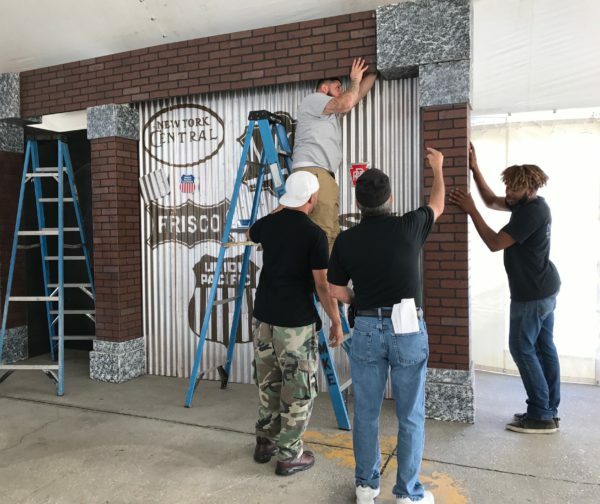 The black and gold train was set amid brick columns and a galvanized tin wall sporting vintage train company icons. Our 9’ high replica of the Statue of Liberty welcomed guests to the USA. Our Americana hedgerow was topped with a picket fence and painted with a folk-art style American flag. 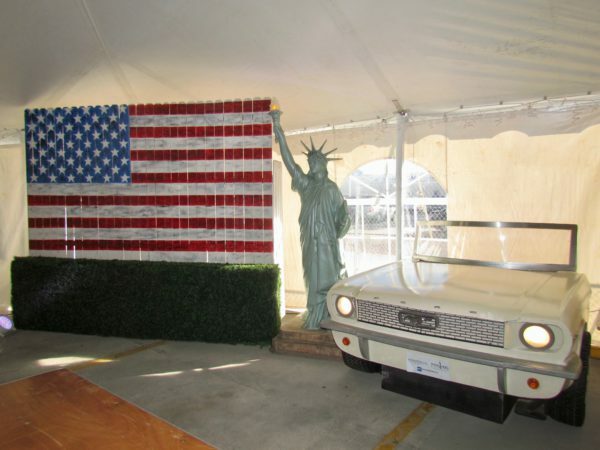 The front end of our cream colored ‘65 Ford Mustang Convertible, in combination with the other distinguishable pieces, made for a very patriotic photo-op. 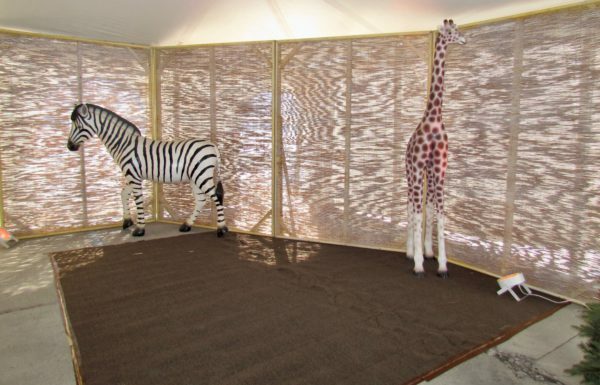 Africa was introduced by our 8’ tall Bamboo Reed Panels fronted with our dimensional zebra and giraffe statues. The area created the ideal atmosphere for the African style face painting. The London area featured none else than the iconic red English phone booth. The 10’ high replica of the Tower Bridge of London lined the back of the stage with criss-crossed British guitars. Our black Rolls Royce Car Bar included working headlights and was utilized by the DJ to create a themed DJ booth. 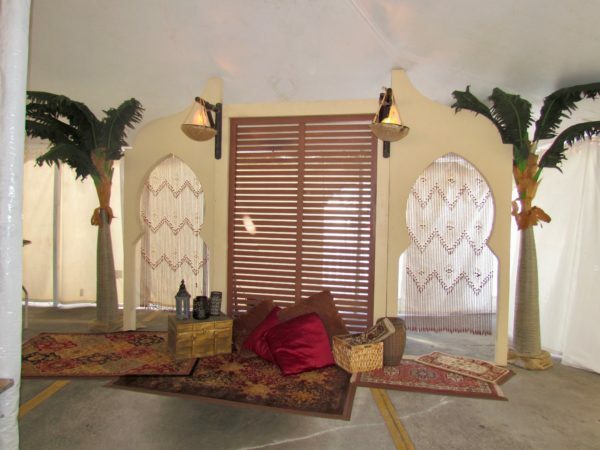 The food was served in a separate area inside the tent. 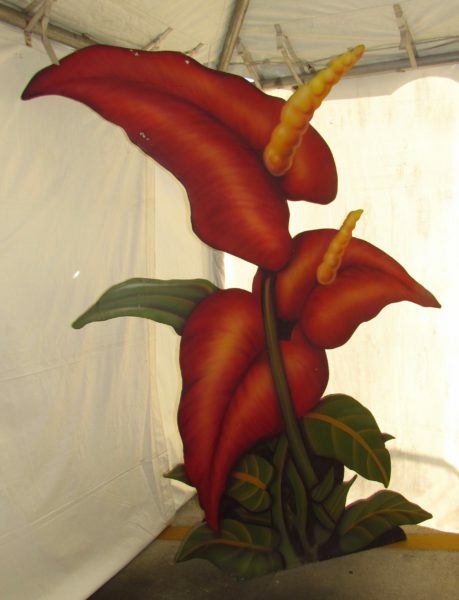 This area represented the Carribbean, where our various Tropical Flower Flats were placed along the perimeter of the room. 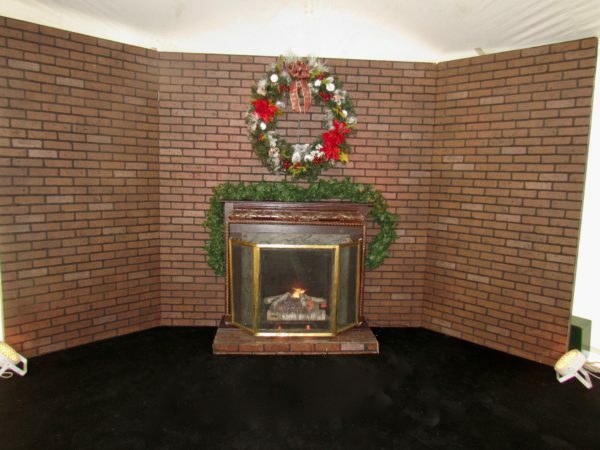 Lastly, our Fireplace Façade created the perfect photo-op for guests to have their picture taken with Santa. The fireplace was surrounded by faux-brick wall flats, while a festive wreath hung joyfully above. MKE loves a good holiday celebration and the Mears event was a flawless presentation! We enjoyed kicking off the holiday festivities with the Mears team and creating such a fun filled event for their staff.